It's not too late to get ghouled up for the year's most wicked holiday. 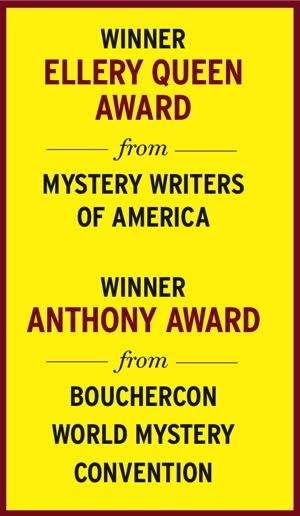 Around this time, we here at Mystery Scene begin thinking about our annual "Mystery Lovers Gift Guide." 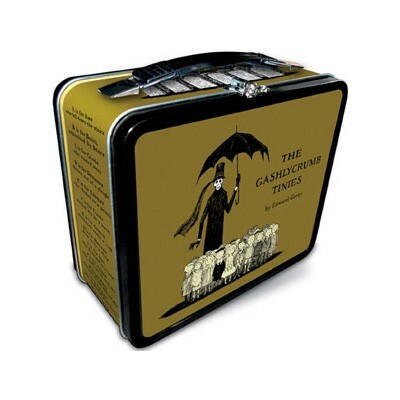 When we stumbled across the Edward Gorey House Store, we couldn't resist getting a head(less) start on sharing some of the great gifts ideas we found. 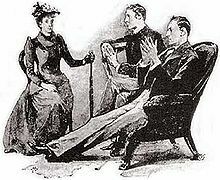 They're creepy and they're gruesome, but mystery-loving (or is that Mystery!-loving?) cat fans will dig the Edward Gorey-inspired pins, necklaces, earrings and charms, featuring assorted felines and bats in suspicious positions. 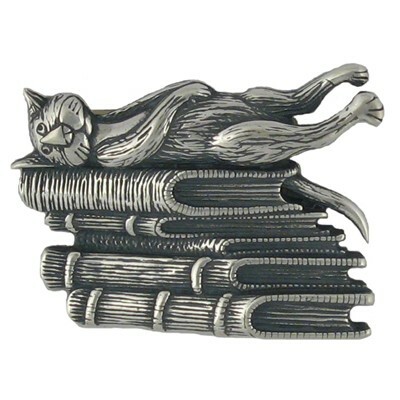 Readers in particular will cotton to the slightly creepy Book Cat Pin ($63.90) which they bill as "a take-it-with-you reminder of one of life's simpler pleasures." Sure, it's just an innocent tabby sprawled on an innocent stack of books—or is that just what they want you to think? A series of 26 11-ounce mugs, suitable for sipping coffee, tea or mercury cyanide, running from A to Z, and each featuring a wrap around image by Gorey. Of particular interest to certain editors is "K is for Kate who was struck with an axe," which adorns one side, while Death and the Gashlycrumb Tinies kids frolic on the mug's reverse side. Or collect them all! 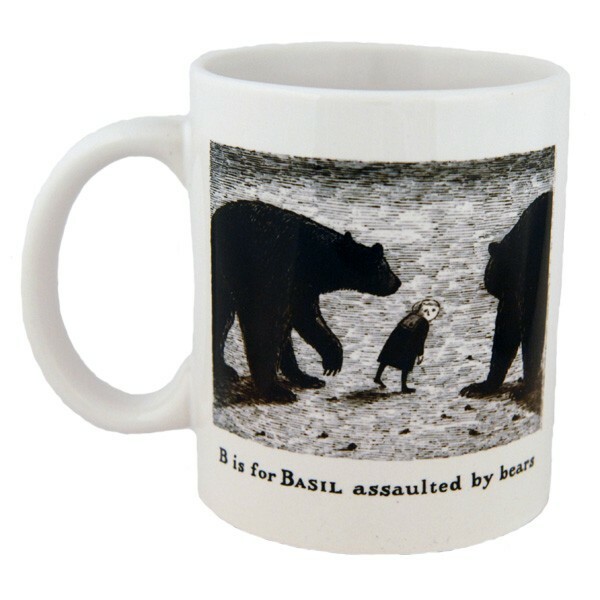 "'A' is forAmy who fell down the stairs," "'B' is for Basil assaulted by bears," etc. Dishwasher and microwave safe so you can get out those damned spots. It's creepy and it's kooky, mysterious and spooky. 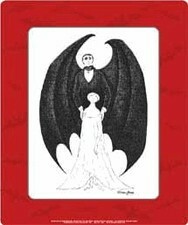 Yep, Gorey takes on Bram Stoker's venerable old bloodsucker, and the red, white and black result, captured on this washable, water- and coffee-resistant natural rubber mousepad, is all together ooky. But rest easy, PETA members: the fine people at pomegranate.com assured me that "No mice were injured in testing this product."